The national non-profit Teach for America (TFA) consists of a corps of leaders who commit to teaching in low-income schools and work to increase their students’ opportunities in life to make a meaningful impact. As a community partner with Las Vegas’ local sector, Las Vegas Sands supports this organization to provide high-need schools with diverse leaders. 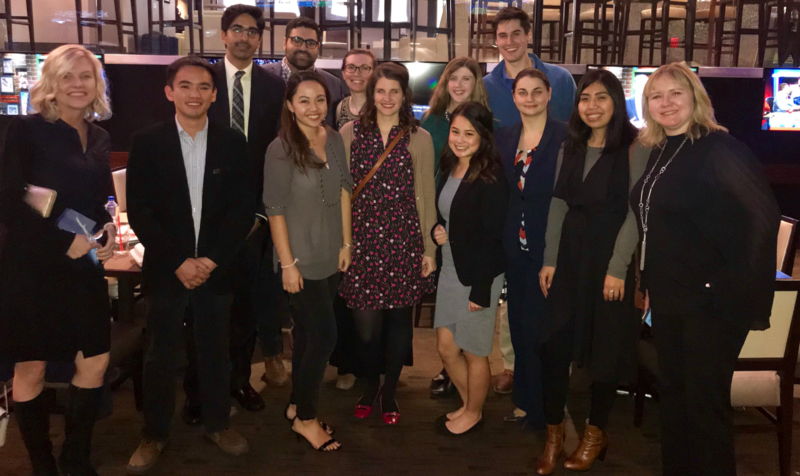 During a welcome dinner at Lagasse’s Stadium at The Palazzo, Las Vegas Sands executives and TFA alumni were able to network, provide opportunities for mentorship, and discuss their experiences in the classroom and around the city with new teachers. Los Angeles native Flor Flores is a ninth-grade English teacher at Sunrise Mountain High School, who started the school year focusing on getting to know her students and building a great classroom culture. Flores grouped her students into little “families” and called them “Together We Can” groups. These groups are designed for the “families” to meet up and discuss their goals for the year, how they are achieving them, checking in on the status, and if anyone needs help. Flores said feedback from her students have been positive and many of the families have been hanging out together outside of the classroom. Flores said for the second semester, she’s starting to focus on how she delivers her content and instructions. If they need help, she is making sure she steps back and tries to find different ways her students can accomplish an assignment. TFA alumna Lizzie Rider, a special education teacher at Cimarron Memorial High School, recalled her first years teaching in Las Vegas as a learning process for herself as a teacher and a new resident.